How much is Cris Collinsworth Worth? 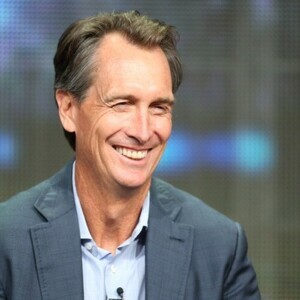 Cris Collinsworth net worth and salary: Cris Collinsworth is an American former professional football player and announcer who has a net worth of $14 million. Cris Collinsworth first became famous as a professional football player in the NFL. He played wide receiver for the Cincinnati Bengals from 1982 to 1988. Anthony Cris Collinsworth was born in Dayton, Ohio in January 1959. He was an All-American quarterback in high school as well as being a 100-yard-dash state champion in Florida. He attended the University of Florida on an athletic scholarship. In his first college game he threw a 99-yard touchdown which still is tied for the longest touchdown pass in the history of the NCAA. Cris made the transition to wide receiver and made the All-SEC first team from 1978 to 1980. In 1991 he was inducted into the University of Florida Athletic Hall of Fame. He was drafted at #37 by the Cincinnati Bengals, where he played his entire eight year career, in the 1981 NFL Draft. 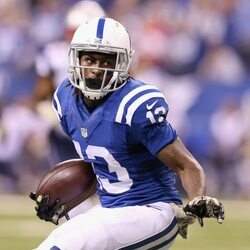 He was selected to the Pro Bowl three times and played on two AFC Champion Bengals teams. After playing football Cris went into broadcasting. In 1989 he was a reporter for HBO's Inside the NFL. He joined NBC in 1990 and then switched to Fox in 1998. Collinsworth worked with Joe Buck and Troy Aikman at Super Bowl XXXIX. In 2006 Cris was working with NBC, HBO, and the NFL Network. He also was a broadcaster for the 2008 Summer and the 2010 Winter Olympics. In 2009 he took over for John Madden on NBC's Sunday Night Football. He won a Sports Emmy Award in 1998.